An amazing journey for lovers of organic foods and precious handicraft. The itinerary includes 1 Tour to visit wine and olive oil organic farms. Here the vineyard and the olive grove are cultivated in compliance with the organic farming methods and in the respect of the very ancient farming traditions: organic fertilizing, use of natural products, respect of season cycles, of the shifts, of pruning and of fields laying fallow. 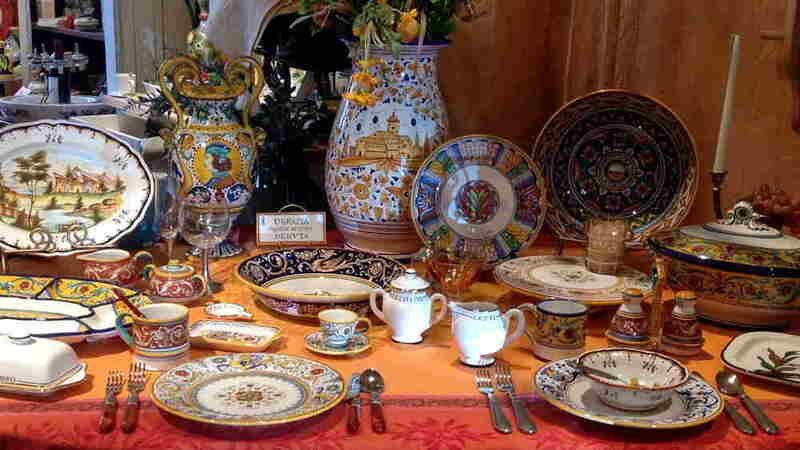 The other 2 Tours are focused on the Umbrian handicrafts . 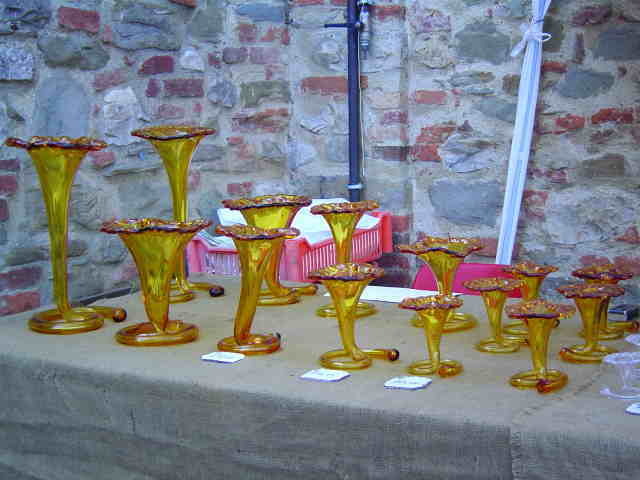 Just in Umbria, in fact, the glass, textiles and ceramics craftsmen pass down their craft from one generation to another, keeping alive passion, creativity and care for the high quality of products. Morning. Hands-on cooking lesson starts around 10.00 am. You will prepare a four course lunch. For lunch you will eat your creations in your apartment accompanied by our wines. Afternoon. The wine Tour includes a guided tour of the winery. The path takes you through the phases of production: starting in the vineyard, the philosophy of the production, oriented to organic and biodynamic farming, is explained. From there we move to the areas of wine-making, wine-ageing and the bottling line. The tour concludes with wine tasting accompanied by a board of typical local products. Our olive oil tours include visits to family-run oil mills in the most famous Umbrian oil regions with tasting of the local produce along with accompanying local food products. Afternoon. Urban trekking is an excellent way to discover the lesser-known parts of the beautiful cities oh Perugia. It is a way to slow down and experience the local life and it is the most sustainable of all forms of tourism. The urban trekking winds through the streets of the city to discover the tourist’s excellences in Perugia. You will have a guided visit in the “Giuditta Brozzetti” Hand Weaving Museum-Atelier. The museum/laboratory was founded in 1921 by Giuditta Brozzetti and is one of the few remaining hand-weaving workshops in Italy today. The Giuditta Brozzetti artistic hand weaving laboratory-museum is located in the first Franciscan church in Perugia, built around the year 1212. 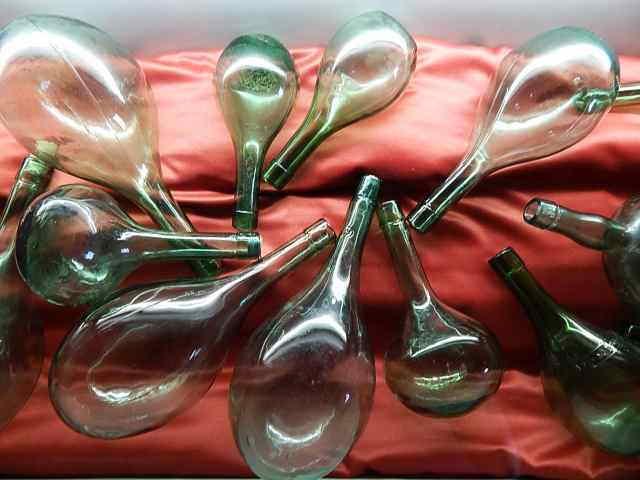 The Moretti-Caselli museum and laboratory of stained glass window is well preserved with all the original artwork, equipment and furnishing of a 19th century atelier. The building dates back to the 15th century and this is the only house, which was spared when Pope Paul the Third built the Rocca Paolina in 1540 and destroyed all the other Baglioni’s houses. Afternoon. You will visit a Ceramic Laboratory in Deruta where the majolicas are completely handmade. Their high quality products keeps the tradition alive and evokes the classic decorations of the various periods of Deruta. The production cycle is completely carried-out within the company and rigorously worked by hand in all its phases. Then you will have a guided wine tour in an Umbria’s famous winery. The vinery produces soft, distinguished and highly structured red wines. To do so, they grow eight different grape varieties, although this number can change from year to year. Their current selection of grapes includes Sangiovese, Merlot, Cabernet Sauvignon and Franc, Syrah. The prices are for single travelers (single occupancy) and for groups from 2 to 8 people ( double occupancy). If your group is composed by more than 8 people send me your request and we will send you the best price! It is also possible to bring along a non-participating partner who can spend the morning enjoying the surroundings, and could then join the group at lunchtime. Non-participating guests are welcome on the excursion and can use all the facilities at the farmhouse and join all the meals, just not the actual cooking classes. Accommodations in the apartment of the farmhouse “la volpe e l’uva” in Perugia (40mq, lounge with cooking area and double sofa bed double bedroom and bathroom), included bed linen, towels, final cleaning. Apron of Let’s cook in Umbria. Group discount – These trips are priced assuming up to six travelers. Special offers are available for bigger group. If your group is composed by more than 6 people send me your request and we will send you the best price!